We’re writing from the U.S.- finishing up the last few work minutes prior to a long weekend. 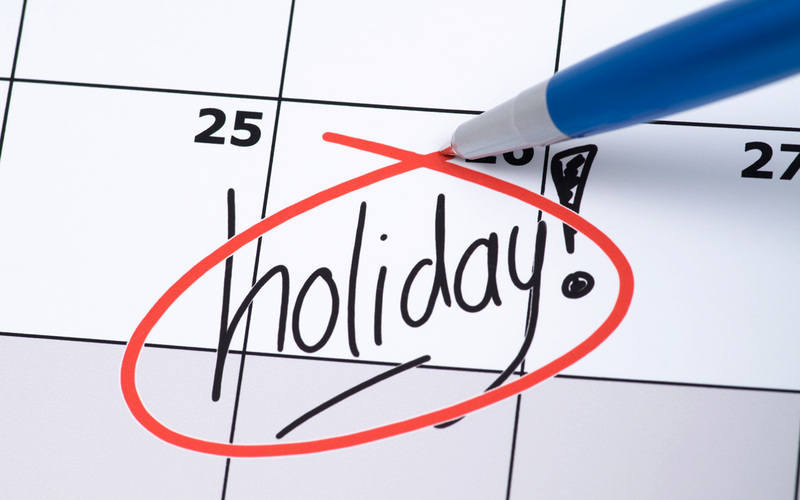 Are you debating on if you should use your holiday to get a head start on a project or catch up on some emails? According to FastCompany’s Lisa Evans and serial entrepreneur John Roa in the article “Why Taking A Vacation Can Make You Better at Your Job” – you should probably think again. It looks like we’re not alone in the ‘work-or-not-to-work’ question – “A 2014 Oxford Economics Assessment of Paid Time Off in the U.S. showed 42% of employees with paid time off finished the year with unused days, leaving an average of 8.1 days unused”. Why is it important to take time off? Getting out of the norm can pull your thinking out of a rut by (literally) taking you out of the office. Vacation can push you out of your comfort zone and give fresh perspective once back in the office. It can inspire – help us think differently and have a different perspective on our day-to-day interactions (both at work, and at home). Just like taking a lunch break is definitely a good idea, time away from the office can help our brains recuperate, refresh our attention, and make us more creative than if we had not. Our recommendation? Take a break. This entry was posted in Coaching and tagged inspiration, memorial day, middle manager, take a vacation, travel, vacation. Bookmark the permalink.